An awesome party and activity experience which will be without doubt a very special memory of your travels through Vietnam. We truly believe we have something for everyone so if you’re looking for beautiful scenery, adventure, and the chance to make some new friends and lots of fun then our Oasis Bay Party Cruise of Halang Bay is sure to be one of the highlights of your Vietnam trip! 07:45 – 08:30: Pick up at your hotel in the Old Quarter of Hanoi. We will have a 3½ to 4 hour bus ride to Tuan Chau Harbour. The shuttle bus is comfortable and fully air-conditioned. 12:30: Arrive at Tuan Chau Harbour for a 30 minute break before taking a ferry boat to the Oasis Bay Party Cruise. 15:00 – 17:00: Spend at least 2 hours kayaking through the tunnel to explore the off the beaten track area of Frog Pond in the fairy land of Halong Bay. 19:00: Evening meal in the dining room. 21:00: Party Time till late. 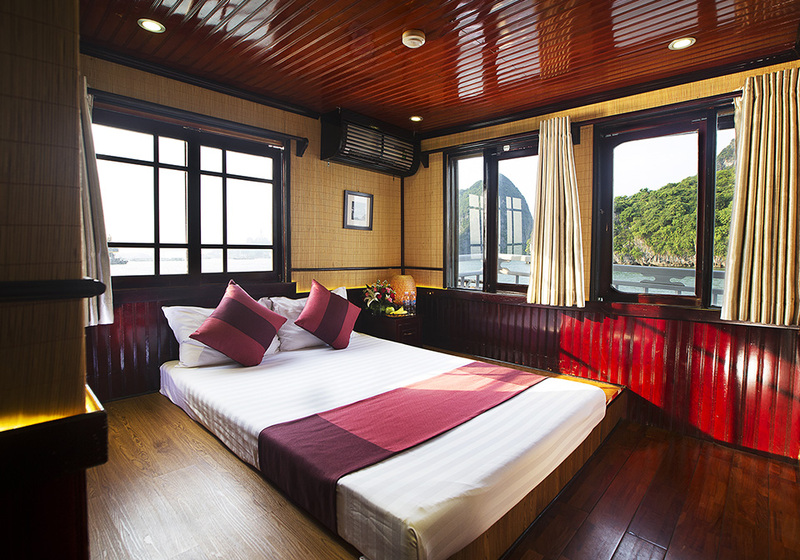 08:00: Enjoy a sunrise cruise in the breathtaking scenery of Halong. Breakfast served in the dining room. 09:30: Pack your things, leave the cabin and settle your bill. 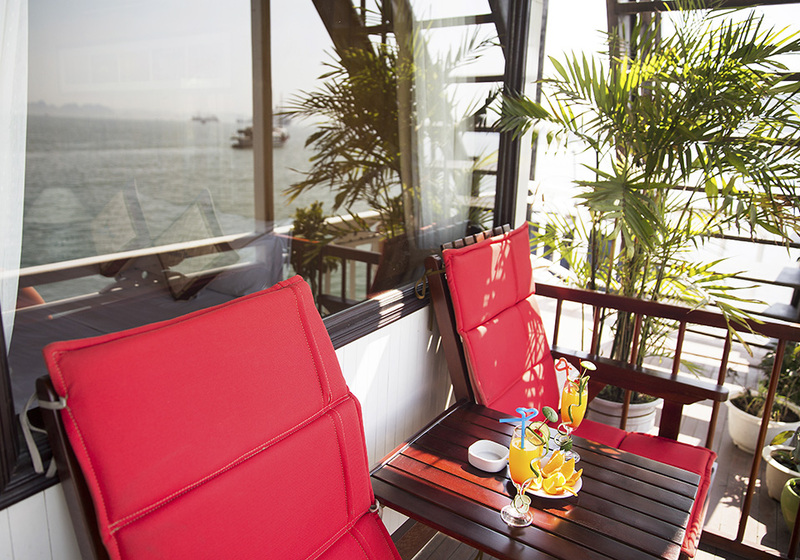 10:00 – 11:30: Attend the Cooking demonstration while Cruise will head back to Tuan Chau Harbour. Enjoy the last lunch on board. 12:30 – 12:45: Shuttle bus pick guests up at Oasis Bay Cruise Lounge. 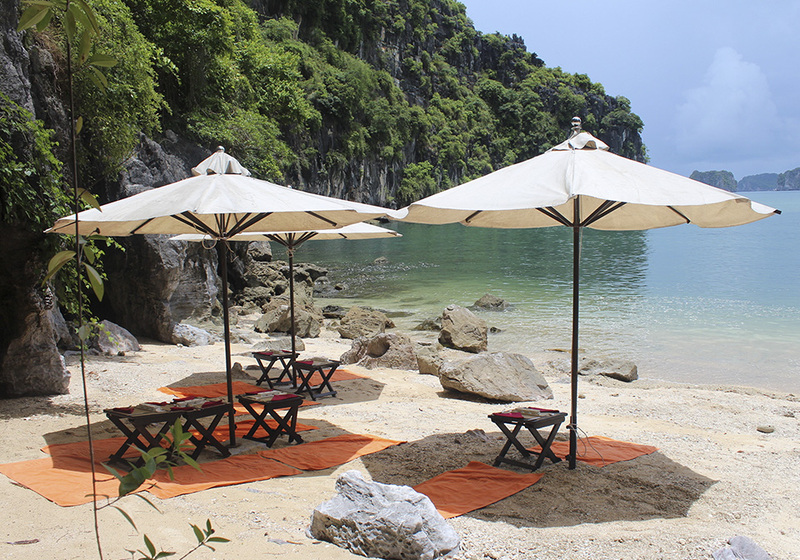 17:00 – 17:30: Tour ends at your hotel in Hanoi. The state of the art restaurant & the bar are located on the 3rd deck of the cruise. Here, food & beverage are always available and served in a professional manner by our well-trained staff. The bar is both indoor and outdoor that is fully stocked with drinks at very reasonable prices. We also have an amazing sound system and DJ on board to take the party into the early hours of morning with our English speaking tour guides and staff.